No matter what the celebration, lighting can change the look and feel of any space. 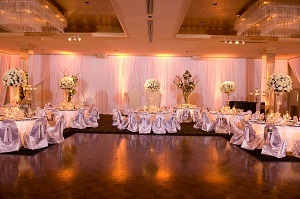 Lighting sets the tone of an event. That's why it's important to choose the right event lighting company. Creative lighting designs from Y.E.S. Contractors can transform your event space to create something truly special. Whether you need lighting for a wedding, party or corporate function; all of our packages are custom tailored to fit your needs and budget. From design and installation to disassembly - we handle all the details, so you can enjoy your event without a worry. Call us at 1-844-631-5953 or click below to discuss your event lighting needs with one of our specialists today. Get a FREE Event Lighting Design Consultation Now! Our talented team of designers is dedicated to bringing your vision for your event to life. We are experienced in designing and installing lighting for spaces of all sizes, including both indoor and outdoor venues. Contact us today for a free design consultation and custom quote. We offer event lighting design as well as holiday decorating services in Wall Township, Brick, Point Pleasant Beach and throughout The Jersey Shore. Get a FREE Event Lighting Design Quote Today!